Yeh Rishta Kya Kehlata Hai 21st October 2016: Akshara said that Naira was hiding something from them. She asked her if she needs their help in any matter. Naira denied and stated that she would handle her own matters. Rajshri found Kartik sad and asked him to share anything with her if he wanted. He said that people did not understand things and stated that they eve did not share what they feel and left to think about it. She asked him to have the courage and said that things would get back on the track. He then left from there. Naira and Gayu were in kitchen. Gayu stated that she could share things with her if she could not share anything with her parents. She asked her as where she went to the night before and said that they did not want to lose her again. Gayu then talked about Kartik and said that he was an amazing person as he always helped them since he came. She stated that Naira should not fight with him always and check his patience. Check: Yeh Rishta Kya Kahlata Hai 20th October 2016. Kartik printed his resignation letter and thought that he took the right decision. Naira believed to talk to Kartik about the academy matter. She messaged him from Mishti’s side by taking her phone. Naitik hugged Akshara and complimented her. He said that she was looking really beautiful. Kartik was going to office but Vishvamber stopped him and said that his boss was coming there only. dadi cried seeing Naitik. They all smiled seeing her and Naitik. She asked him not to leave again and blessed both Akshara and Naitik. Dadi then met Karishma and said that things would be okay soon and asked her to be tough in tough times. Naira saw Kartik and went to him but he tried to avoid her and started talking to kuhu. Naira too felt that Kartik was not talking to her. Naitik and Akshara did the dusshera rituals. Gayu looked at Kartik and smiled. Naira looked at Kartik. Akshara and Naitik tell everyone about Naira and Kartik’s fight. Naitik said that he wanted to make Kartik permanent. Kartik denied. But Naitik said that it was decided as he worked hard. Everyone clapped for him. Naira stated that she wanted to gift something to Naitik. She showed him the dance form. He got glad seeing it and asked her when she did that. Naira said that Akshara guided her and she got the directions. 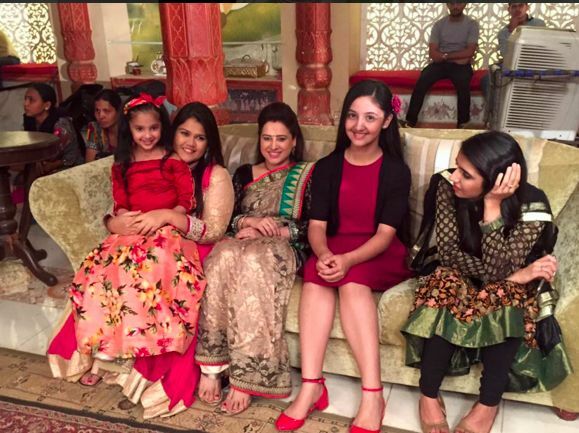 Bau ji said that Naira worked hard to fulfil Naitik’s dream. Naira said that Kartik helped her a lot. She thanked him. Naira stated that she would make the academy with Kartik. Kartik said no and stated that he could not help her in making the dance academy.